Add 1 can coconut milk and sugar to a small pot and heat over low-medium heat, bringing it to a simmer. Meanwhile, whisk eggs and add in arrowroot powder, spices and sorghum. Turn the pot of coconut milk to low and slowly add the egg mixture, whisking until thickened. Once it thickens, remove from heat and stir in butter. Pour into a large bowl, cover and cool until well chilled. When serving, crush the ginger cookies into the bottom and top with pudding. 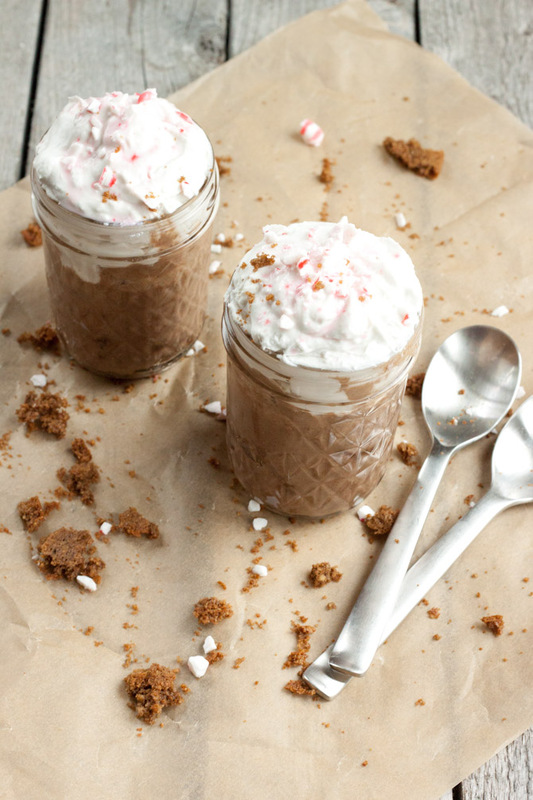 Use 1 can coconut milk to make coconut whipped cream and top with crushed peppermint.